I’m James Nevitt, I work in DIO’s Environmental Support and Compliance Team (ESC) as their Senior Access and Recreation Adviser, based at Salisbury Plain. You may have seen my earlier blogs on the subject of public access to MOD land. The MOD has a presumption in favour of public access when land is not in use for military training, and where it’s safe. Members of the public use military land perfectly legally on a daily basis for activities from dog walking to cycling and horse riding to driving. In fact, members of the public driving on the military estate has been the focus of some of my work lately. 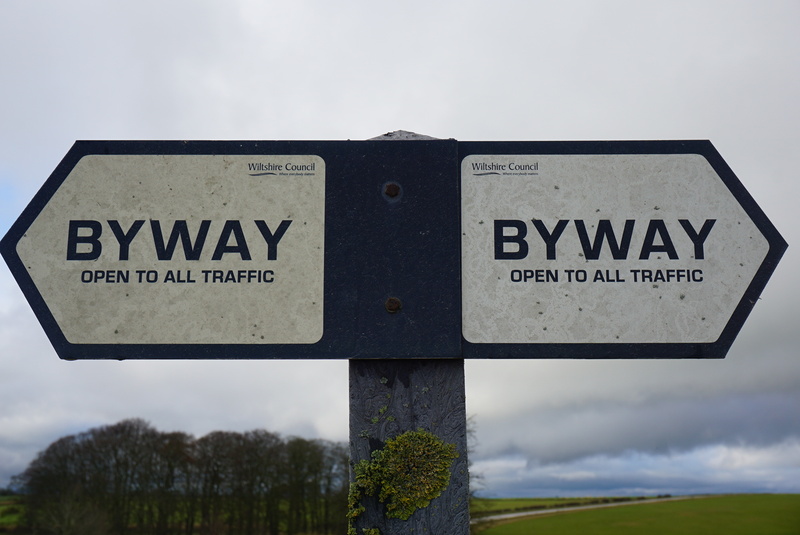 Byways open to all traffic, or BOATs, and unclassified roads are a gateway out of urban areas into the countryside. They may be historic droveways, once used for herding cattle to market, or roads that have been in existence for hundreds of years, representing the first means of travel between towns and cities. Fortunately Highway law protects these pieces of history for all to enjoy. Sometimes referred to as greenlanes, hence the term greenlaning, BOATs are often unmade, grass or stone tracks of differing quality. With unpredictable surfaces and reduced directional signing they require varying degrees of skill to safely and successfully navigate. 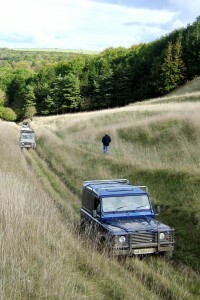 Salisbury Plain is regarded as a key location to experience off-road driving. The Salisbury Plain Military Byelaws permits use of roads made up for vehicular purposes when they are not subject to military use. These supplement a network of historical BOATs criss-crossing the iconic, beautiful landscape. The variety of trails provide opportunities for the less experienced to drive on permissive tracks and the more experienced to venture along the “true” green lanes. Although the Plain is one of the MOD’s principal military training areas it is an environment that needs to be treated sensitively. At least 50% of Salisbury Plain Training Area is covered by ecological designation because of the wildlife that flourishes in an environment unharmed by modern intensive agriculture. These designations set parameters in which the military can fulfil their training requirements. Due to the sensitive environment, wet weather limits the level of use the MOD can undertake during wet periods. Unfortunately, these strict restrictions cannot be easily applied to the use of BOATs by the public. 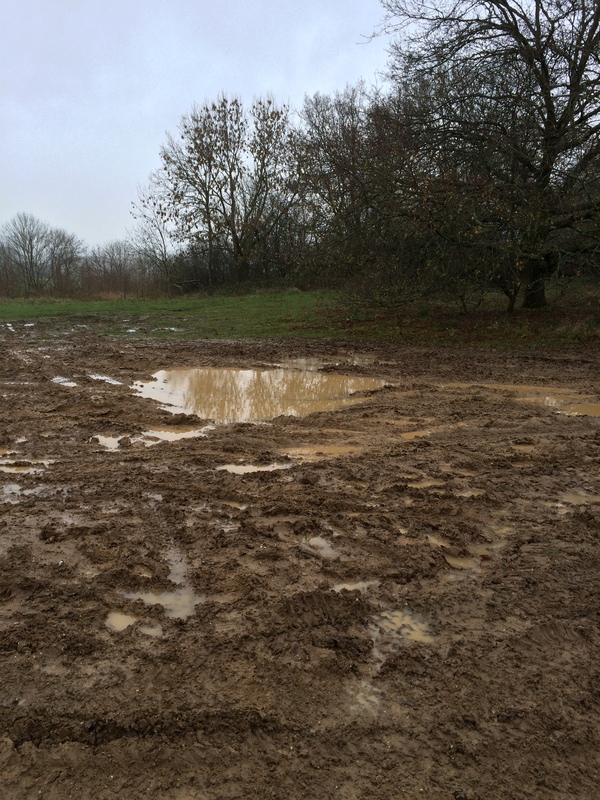 Continuing use in wet weather can result in progressive surface damage and erosion. Wanton damage caused to a highway is a criminal offence and can inhibit use of the way by others. Additionally, as a route becomes obstructed by poor conditions, users are forced to divert, which in turn further damages neighbouring land. In my job I regularly see damage caused by inappropriate vehicle use, some of it quite significant. Diverting from proper routes can also be dangerous. In some areas of the Plain leaving marked public rights of way can take users into areas of training estate where they may impact on active military training or place themselves at risk due to the presence of unexploded ordnance. Furthermore this can impact on agricultural land, sensitive habitats, bird nesting and more. Irreparable damage to the highway itself can in some locations be regarded as damaging an historical feature. As custodians of the Plain the MOD seeks the support of other users in adopting best practice when visiting. The ESC Access and Recreation Team continuously work with key stakeholders to raise awareness, educate, promote good practice and undertake voluntary work on site. 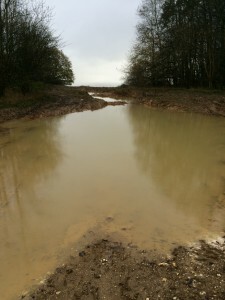 As part of my current work I, along with Wiltshire Council, and representatives from the Green Lane Association (GLASS) and the Trail Riders Fellowship (TRF) have identified particularly sensitive BOATs which would be best avoided during the wetter winter months. Voluntary restraint is to be applied to those routes. This is a means of encouraging users to adopt an alternative route for a temporary period to avoid further damaging the BOAT. Selection of these routes is led by Wiltshire Council, with the input of GLASS and TRF and the support of DIO. Three BOATs will be “closed” under voluntary restraint prior to Christmas and it is hoped that visitors will abide by these requests. Details will be provided by Wiltshire Council. Further routes may be considered in early 2016. By choosing to avoid these routes users will aid their recovery, allowing them to be enjoyed later next year and beyond. DIO will be providing signs, whilst volunteers, made up of greenlaning group Treadlightly, GLASS, TRF, Wiltshire Council and local enthusiasts, will erect them on site. In addition to supporting this work DIO will be collaborating with Wiltshire Council to deliver some BOAT repairs on Salisbury Plain Training Area in 2016. This will improve the byways for both military and public use. All Greenlaners please adhere to these voluntary restraints, or the plain will be closed to us all. Please can you detail the work done by the military to protect the byways damaged by there vehicles? I have been out on the Plain today. There has been a lot of military activity over the last few days, especially around the German village. Battle tanks, APCs, 8 wheelers. Huge areas clearly ripped up by tank tracks. There is an enormous amount of mud in this area. Some areas knee deep in brown slop. One lane was barricaded with pipes and razor wire (a byway open to all traffic with no TRO or closers signs but covered in razor wire!!!). I don't in any way begrudge the military for their use of the Plain or the damage they cause, nor do I deny that 4x4 use causes damage, but I do wonder how significant one is compared to another? How many 4x4s does it take the cause the same damage as a 70 tonne challenger tank? Why does this blog not detail the work done to repair the damage done by military vehicles? If/when they make these repairs why can't they fix some of the byways at the same time? Or better still, why not leave damaged areas available for the "Idiots" to have there fun? Where the military uses public highways work is undertaken to repair and make good any damage caused. All units are briefed on where public rights of way lie. This information is supported by a wealth of finger posts and waymarkers across the Plain. Sometimes we can get it wrong so this will be investigated. DIO strive to minimise the impact of military training on the public use of highways across the Plain. As stated, where damage is caused work is undertaken to make good as soon as practicably possible. Additionally, where there is dual use by the military and civilian vehicles the MOD undertake considerable amount of general maintenance work to ensure tracks remain in a suitable condition for use. Many of there byways are maintained to a far higher specification than would be delivered by the local Highway Authority. I would like to make use of the green lanes on the plain, is there a map that could be purchased to show which lanes can be used?